The lightly distressed finish and grand scale of the "Mallacar" End Table will fit seamlessly into numerous home decors. Featuring thick pine veneers with wire brush distressing and saw cut accent planks. 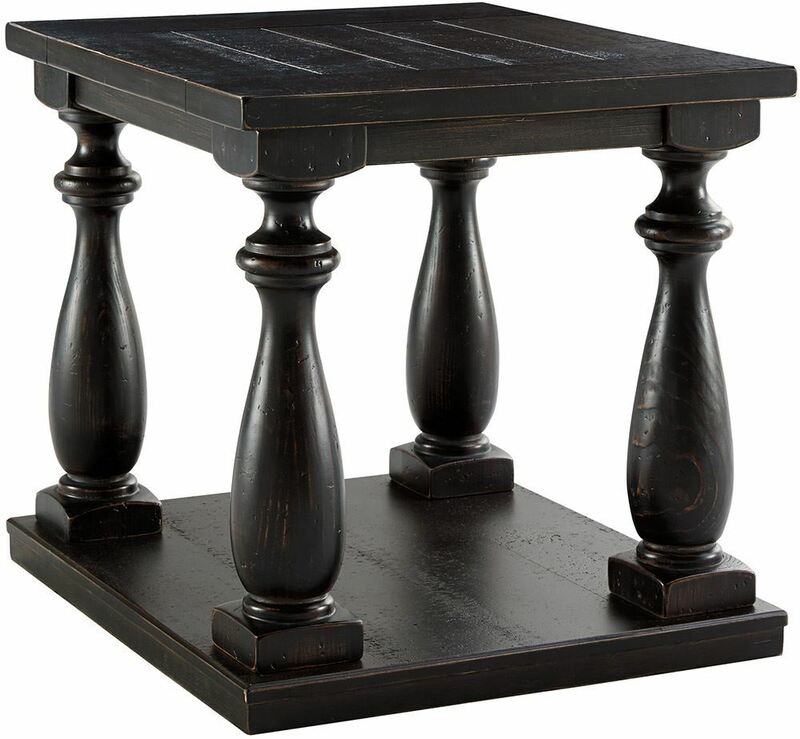 Classic turnings in a deep black finish top off this striking accent table. 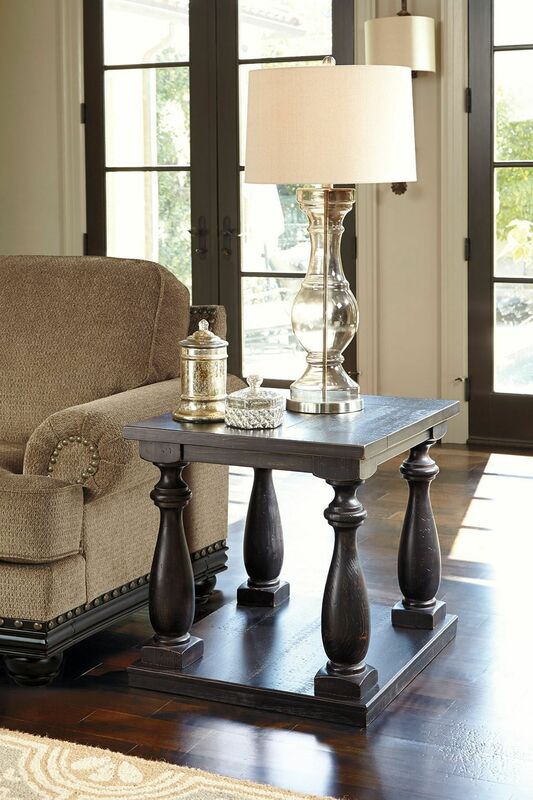 The lightly distressed finish and grand scale of the "Mallacar" End Table will fit seamlessly into numerous home decors.